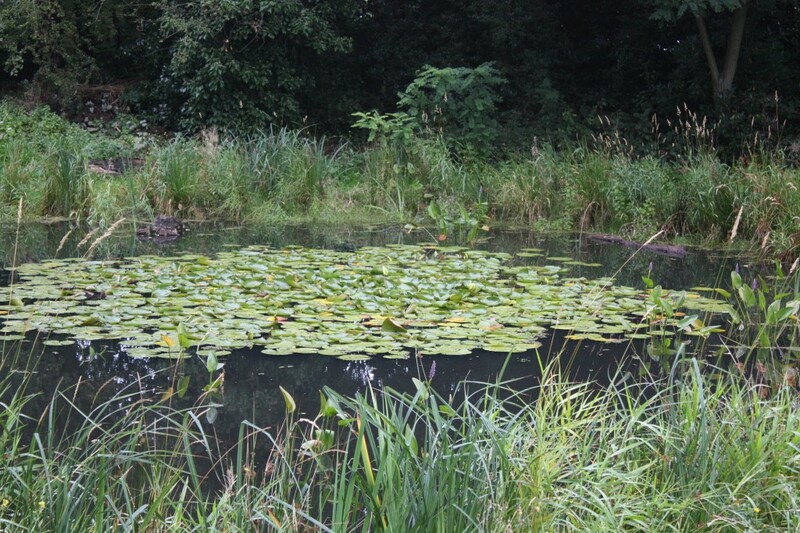 Eaglesfield Park Lilly Pond is looking good at the moment; the lilies are now well established, with a number of flowers forming, and the wild flower meadow is showing the benefit of its last tidy-up in August. The next Friends of Eaglesfield Park monthly meeting at the Lilly Pond will be on Sunday 3oth September from 11.00am to 1.00pm, weather permitting. 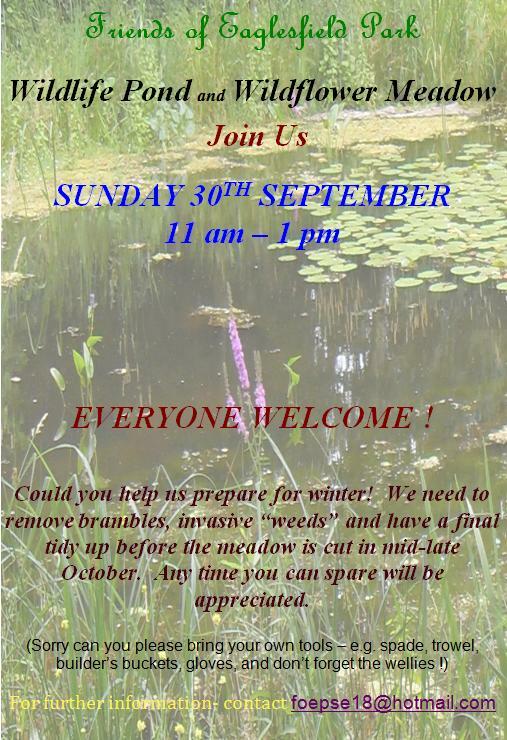 As the wildflower meadow will be cut during October, an essential step in its development, this is the last opportunity to remove any invasive weeds such as brambles and prepare the pond surround for winter. I’m sure there will be an opportunity for pond dipping as well.